The Shih Tzu really does make a lovely little pet, but don’t just take our word for it, take a look at his wonderful Shih Tzu temperament right here and decide for yourself. The Shih Tzu dog seems to be all heart. When trained and socialized properly this little dog is everyone’s friend. He accepts everyone with a peaceful interest and is easy to fall in love with. As with every dog of every breed part of the Shih Tzu temperament is decided by his life so far. For instance the dog that passed through his learning stages as a puppy and experienced fear and anxiety will be less confident than one that was well socialized. A big part of the Shih Tzu temperament is that of unflinching stubbornness. Anyone that lives with this little dog will tell you that he asks questions. The Shih Tzu art of being stubborn can be overcome with positive and interesting interaction plus suitable motivation, after all no dog can resist the right motivation. • Kindness is part of the Shih Tzu’s overall nature. He likes everyone he meets and will usually be gentle with children and other animals alike. • A genuine nature is one of the biggest parts of this tiny dog. He has a huge heart and is unflinchingly honest. The Shih Tzu won’t try to do something that you ask of him unless you make it well worth his while. He won’t bluff or pretend to try either but simply make it clear that he is not interested right now. 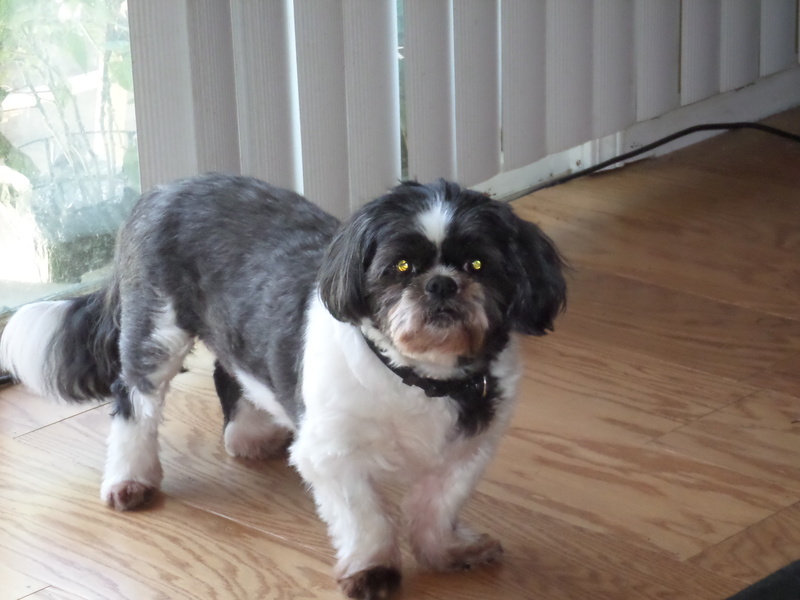 • The Shih Tzu has a higher level of intelligence than you may think. His strong need for good and suitable motivation during training sessions may lead his owner to believe that this little dog is not as bright as he actually is. In fact he is brighter because he will only put effort in if he thinks it’s worth his while. • The Shih Tzu carries a tenacity that is blatant. This little dog will work hard to make sure he interacts with everyone he meets. It is important to him that he makes friends and he will rarely allow the opportunity to pass by. Mild mannered and friendly this little dog is a fantastic companion for the entire family. He will enjoy the company of children and play happily, he will live in a group of dogs with very little tension or he will be a great steady friend for a retired or inactive couple or individual. Despite being deliciously stubborn at times Shih Tzu temperament is one that is neither extreme nor excessive in any way. He is easy going, happy, hardy and adaptable. The only exception to this is the Shih Tzu that has been through traumatic learning experiences or missed out on positive social learning. However this is the same for any other breed of dog. In this brief overview of Shih Tzu temperament we feel that we have covered the basics about the breed but if you do have any questions feel free to get in touch.